Eagle Scout project improves the elk exhibit. 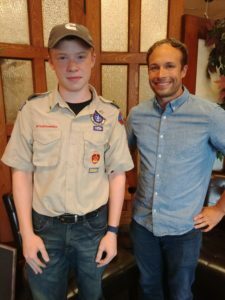 Read about Jacob Cutts and his Eagle Scout project here. Eagle Scout, Jacob Cutts, and Jason Trembly, OZS President.